Hi, just a few images of some kitchen cabinets i have been playing with. Each consists of a cabinet grouped with doors/drawers who's visibility can be changed. Finally, a view from the right, of the pull out larder, showing that the 2 baskets can be tilted down and/or removed for ease of filling. I have no idea how to make them "opening" so this is my alternative. If they can be of use to anyone let me know and i will share the finished file. Don't expect perfection, they just look ok. 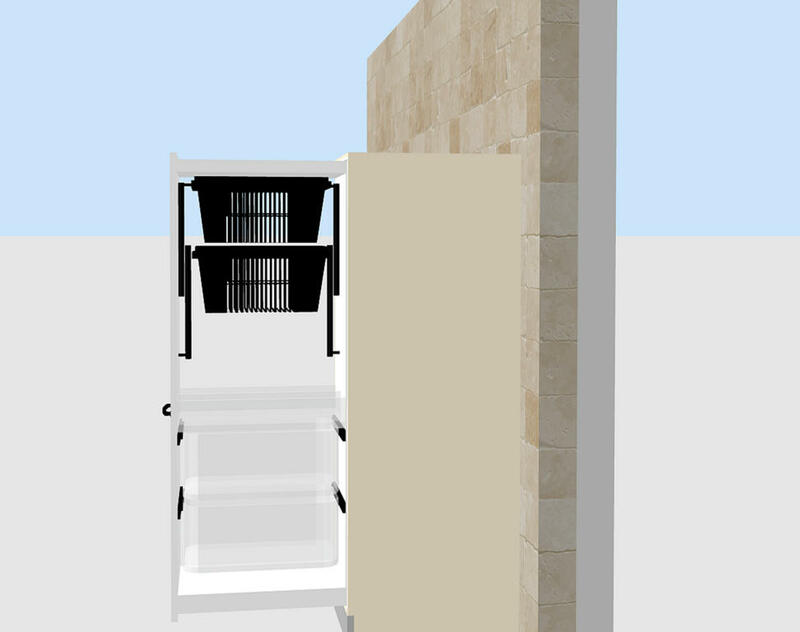 If you share them, I could update the 3D models to make them opening. This could help you to understand how to design such models. 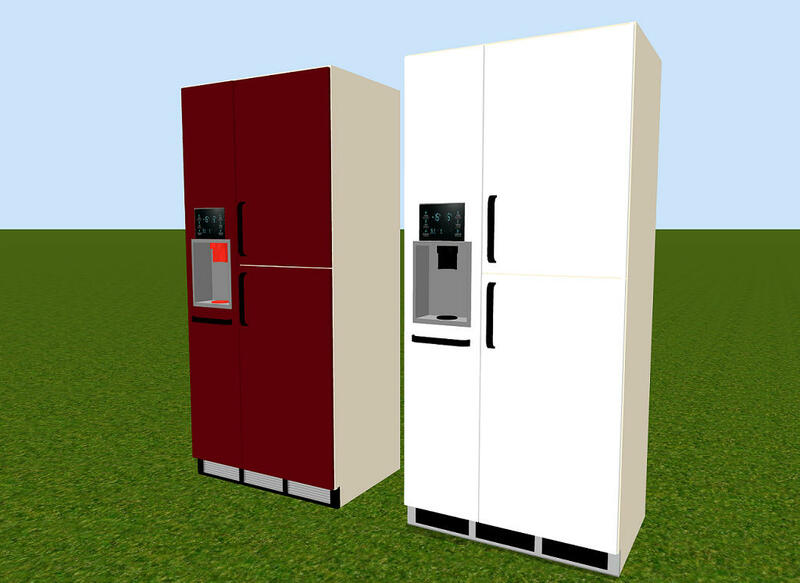 An optically fitting fridge / freezer would be cool. Thank you both for the comments, not sure about me modifying them in future, but you never know. Here is a link to the sh3d file, if you can figure something out then great, if not don't worry. Each door and drawer does have an element called hinge, no idea if that will help or hinder. Ah, ok, I can imagine where it is. My favorite fridge freezers are the full height ones. So I was looking for one of this and have totally overseen your solution. Link here if it's any good to you, or anyone else, no interior with it, maybe later. 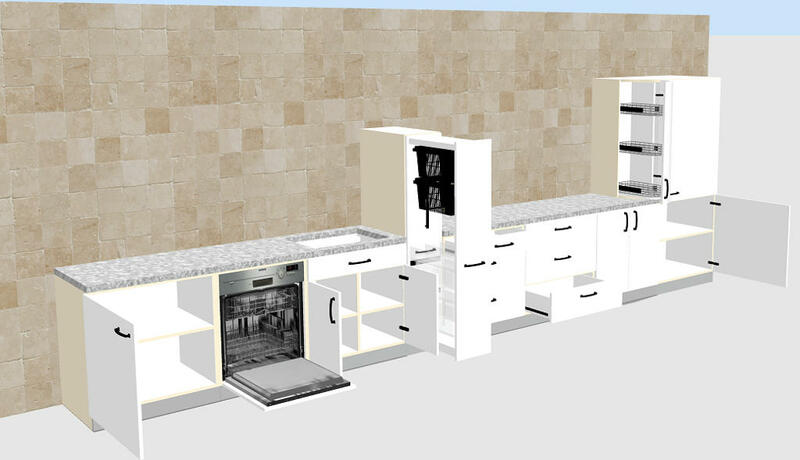 Wow Mike, this kitchen furniture is very cool, maybe for my next kitchen project I will try to use them :). Thank you AdeleAlli, i look forward to seeing them tried, might be worth waiting in case Emmanuel is able to sort out my mess and convert 1 or 2 to "opening"
In the mean time this is what i tried to explain about the pull out larder, easier to view an image. 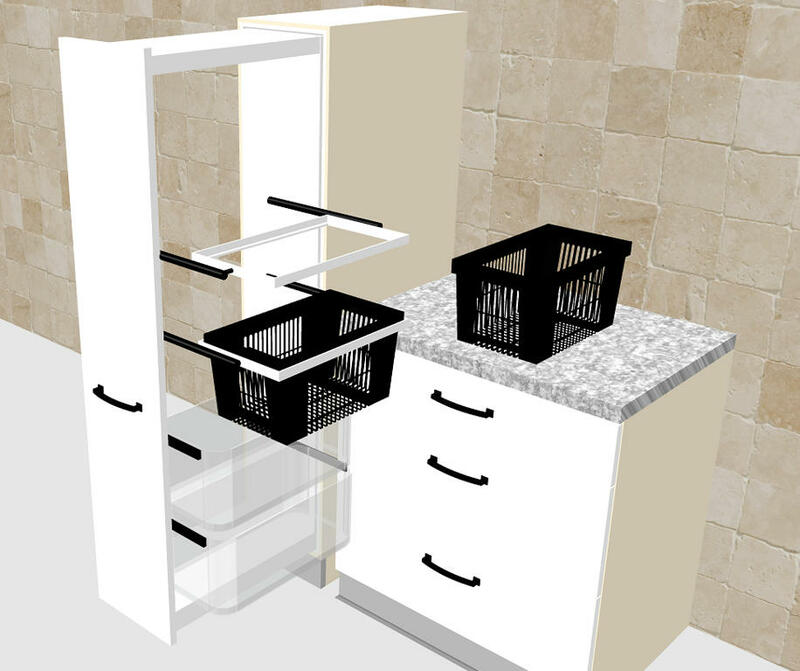 Sliding plastic drawers and lowerable, removable baskets. Man, they are absolutely fabulous! 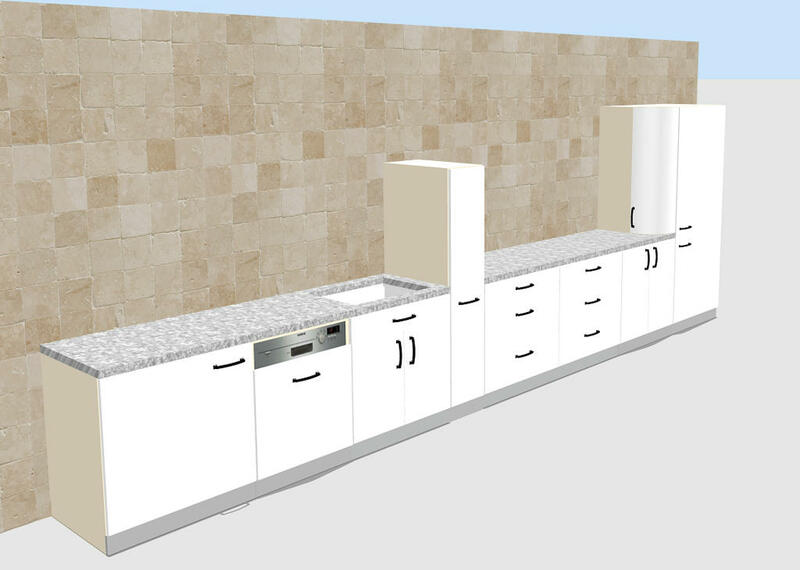 Your kitchen will definitely be used in one of my next projects (perhaps even in my current one). Thanks for your genius work!